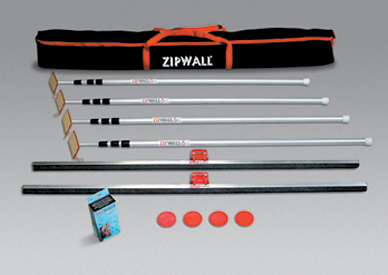 Each ZipWall® 4 Pack Plus kit (4PL) contains four 12’ aluminum Spring Loaded poles (SLPs) and accessories, 2 Foam Rails, 1 box of Standard Zippers, and 1 Carry Bag. 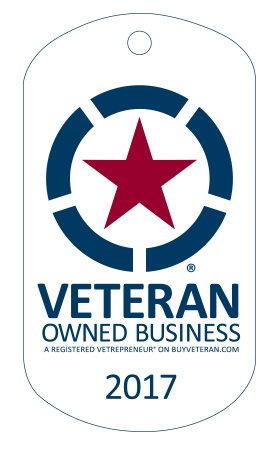 That makes the 4 Pack Plus a great dust barrier kit for contractors, maintenance crews and home owners. The ZipWall® system means fast easy installation. A 30 foot long 11 foot high barrier takes 1 hour to build using conventional methods. With the ZipWall® system, the same dust barrier can be completed by one person in under 5 minutes. And since no tape or staples are used, costly repairs to painted surfaces are eliminated. The ZipWall® Dust Barrier System is patented and has many advantages over conventional methods. The twist-locking pole lets you raise the sheeting without a ladder. The non-skid, non-marking material at the top grabs the ceiling, while the non-skid GripDisk under the foot keeps the pole locked in position at the floor. Spring Loading lets you lift the pole to tuck the sheeting underneath for easy setup. It also maintains constant tension on the barrier, to compensate for movement at the ceiling or at the floor if the poles are bumped, or if there is a lot of air movement. All ZipWall poles are ideal for dropped ceilings. Spring Loading automatically adjusts the pole height to compensate for any movement of the grid during setup. Just place the poles so the tops push against the grid, then follow the grid until you’ve contained the area. SLP poles extend from 4 feet 7 inches to 12 feet. They are clear anodized aluminum and weigh just 1.5lbs each. Poles should be placed every 8' to 10' or closer if there is a lot of air movement. A GripDisk under each pole secures the pole on smooth flooring like vinyl or wood. SLP poles can accept any plastic or cloth sheeting up to 8 mils thick and can support up to 110 lbs. The included Carry Bag can hold up to 12 poles. For improved performance, use our Tight-Seal accessories. The 4 Pack Plus gives you the option of using Foam Rails at the ceiling. Simply replace the standard head on the pole with a Foam Rail and raise it to press the plastic sheeting against the ceiling. Overlap the Foam Rails slightly and you have a continuous dust-tight seal along the ceiling.